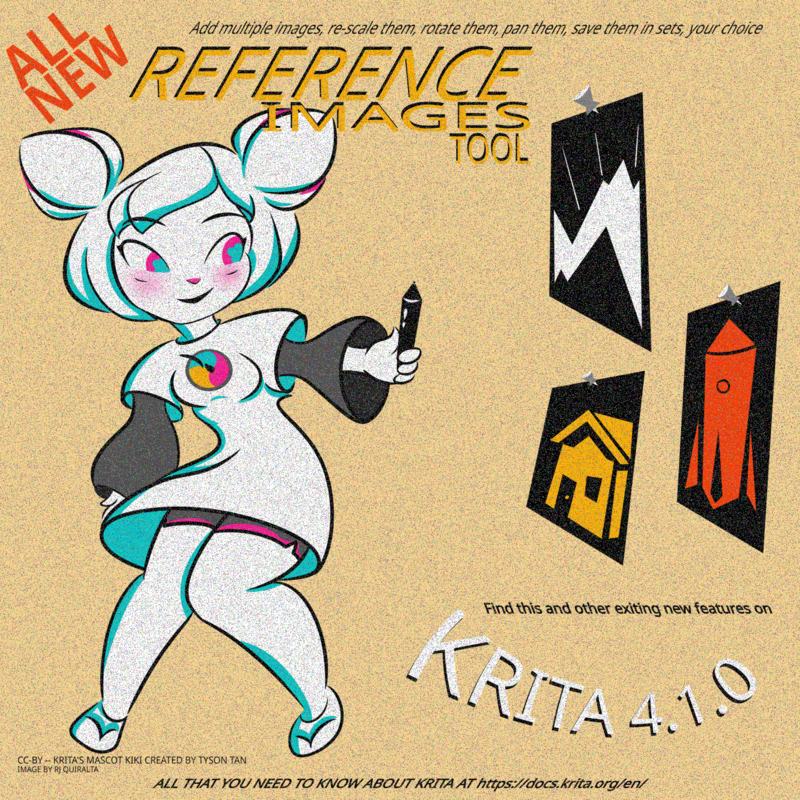 Three months after the release of Krita 4.0, we’re releasing Krita 4.1! And there are a host of bug fixes, of course, and improvements to the rendering performance and more features. Read the full release notes to discover what’s new in Krita 4.1! We found a bug where activating the transform tool will cause a crash if you had selected the Box filter previously. if you experience a crash when enabling the transform tool in krita 4.1.0, go to your kritarc file (https://docs.krita.org/en/KritaFAQ.html#where-are-the-configuration-files-stored …) and remove the line that says “filterId=Box” in the [KisToolTransform] section. Sorry for the inconvenience. We will bring out a bug fix release as soon as possible. When it is updated, you can also use the Krita Lime PPA to install Krita 4.1.0 on Ubuntu and derivatives. We are working on an updated snap.